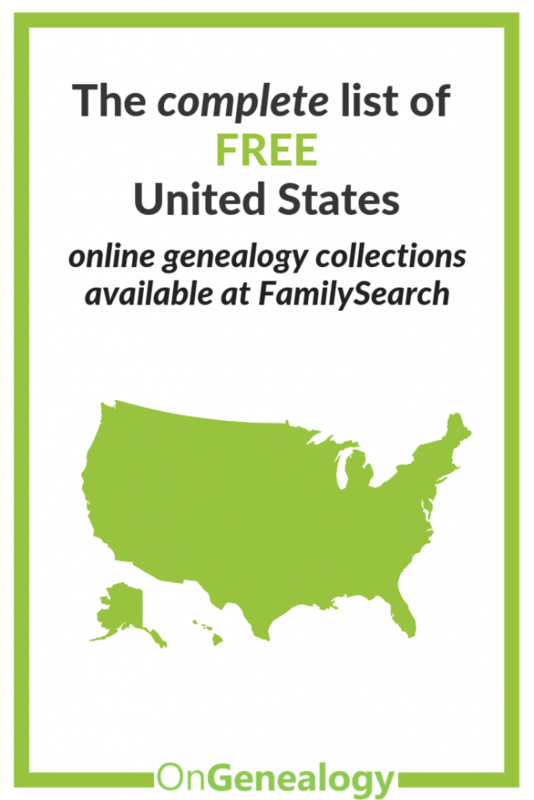 This is a list of all of the free United States Genealogy Records currently online at FamilySearch. These include birth records, marriage records, death records, census records, immigration records, military records and more. Links to all Family Search online collections for the 50 States and the District of Columbia are included at the end of the general collections. There is also a link to the onsite Library catalog with a second link to catalog collections that may be digitized and viewable online (as images you can scroll through like a microfilm). Here’s a pinnable image to save this collection for your research. Please follow the OnGenealogy Pinterest boards for resources and tips from genealogy researchers!